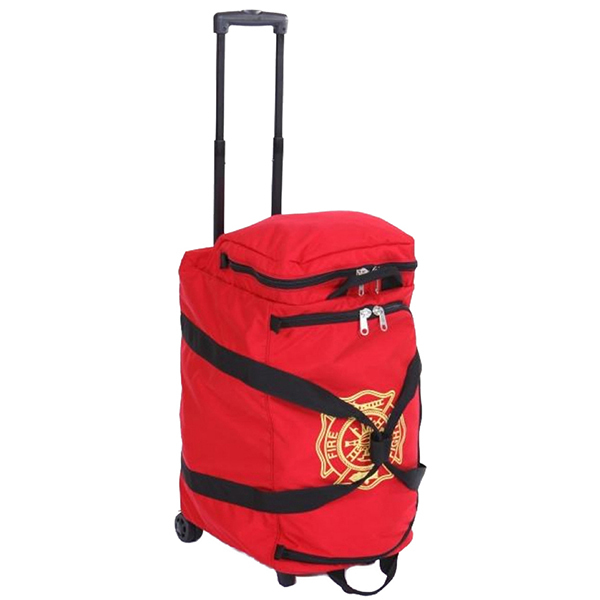 Ultimate Turnout Gear Bag With Wheels And Handle Put Your Turnout Gear On Wheels! All bags are constructed of coated 600 Denier Nylon with heavy duty black webbing that goes completely around bag for strength. All zippers are heavy duty, with two heavy duty sliders on the main compartment. Bags are nylon stitched and are designed to last and stand up to rugged treatment. Color: Red Body with gold Fire Rescue Maltese cross logo screen print.